Well ok, nothing is actually dead in this blog post but nothing is alive either. Today is the Day of the Dead, Dia de los Muertos if yer sassy, so I thought I would share a few of my favorite themed finds. Oh Debbie, your soapy pops never cease to amaze me. 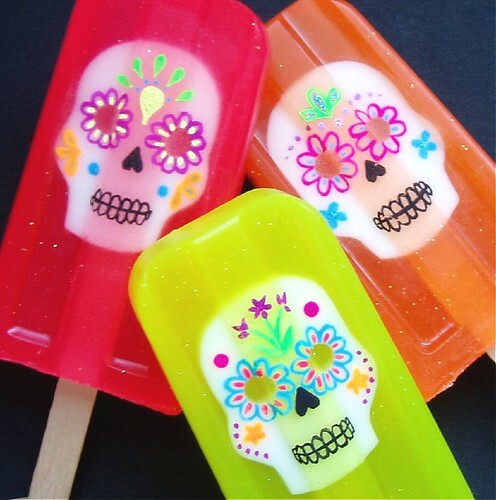 Sugar Skull soaps that look good enough to eat. Rocket Buster with my love of over-the-top cowboy boots I kind of wish I had never found your website. 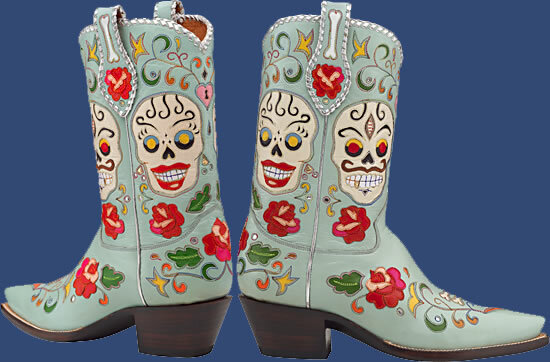 They will make you custom boots and right after I win the lottery I am getting a pair. 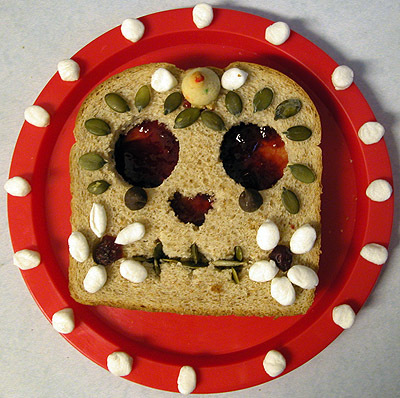 Think I’ll make Calavera sandwiches for lunch today. Who cares whats in them, they look so dang cute. I keep teetering on the Blythe fence. 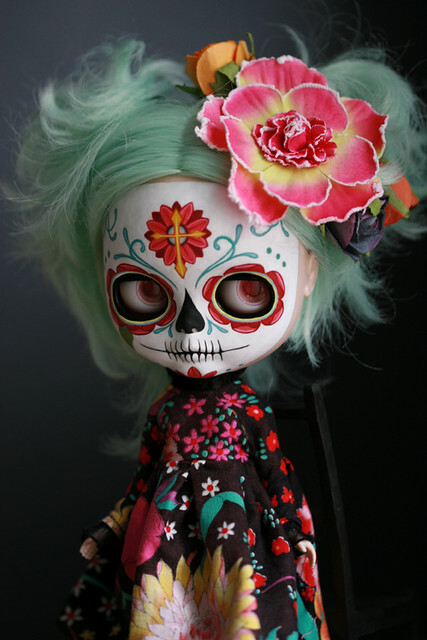 When I see amazing custom dolls like this one by Melancholy Kitties it almost pushes me over the edge. Do you have any favorite Day of the Dead trinkets, tattoos, crafts that you wanna share? Love to know. Posted November 2, 2011 & filed under Day of the Dead, Holidays. Thanks for the shout out, Jennifer! I LOVE that Blythe doll. How incredible! Happy Dia de los Muertos! One of my favorite celebrations. Check out my post on our family's visit to Rose Hills.